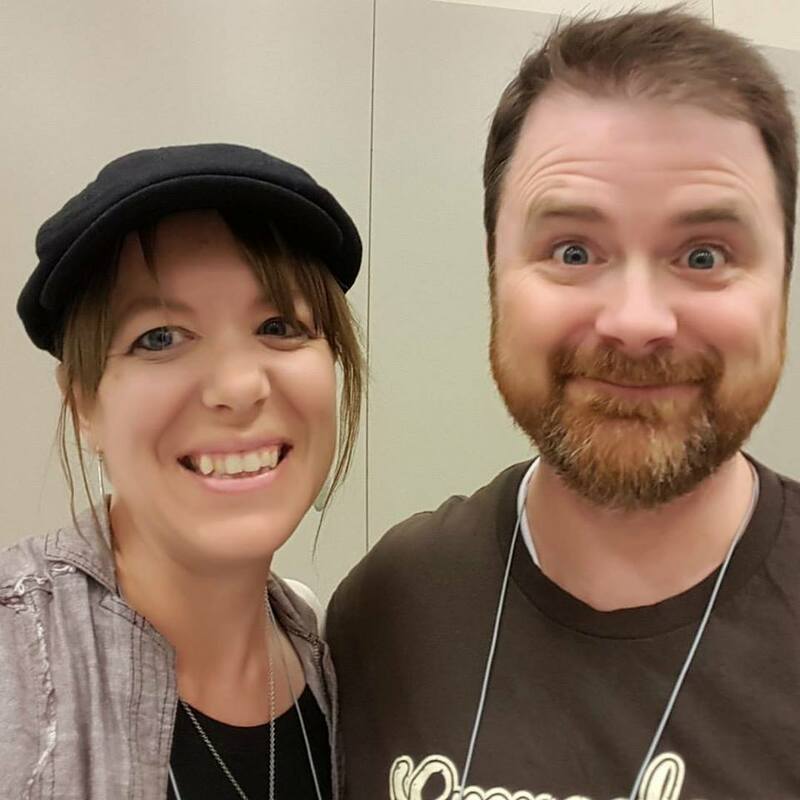 Once upon a time at a writers conference in Provo, Utah, I met many amazing people. We laughed, we sang, we danced, we wrote, we mingled, we hobnobbed, and we networked. While there, I met this month's Dream Chaser - Jared Garrett. At the time, the only thing I knew about him was that he was published through the same house as my good friend, Kevin Nielsen. Caught up in the rush that is LDStorymakers, we selfied. It wasn't until after the conference that I was able to read some of Jared's work. I read both Beat and Lakhoni and - I kid you not - once I finished reading, I immediately messaged Jared to beg him to be a Dream Chaser. He, of course, graciously accepted my invitation. I may have fangirled a little in the process. All jokes aside, I've added Jared to my list of favorite authors and I'm hounding him for more books to read because I can't seem to get enough. He is dedicated, talented, and simply amazing. Keep an eye on this one. He's going places and fast. I was born and raised in a cult that splintered off of Scientology, in Oxford, England, in the 1960s. The cult demanded total fidelity and kids were distractions to that fidelity—at least for a while. So many of the cult kids, I call us cult orphans, were essentially grouped together and tended to by some random member of the cult. Usually that random member was an acolyte who didn’t have much skill with walking the streets of Chicago, New Orleans, London, or New York and fundraising for the cult’s various causes. 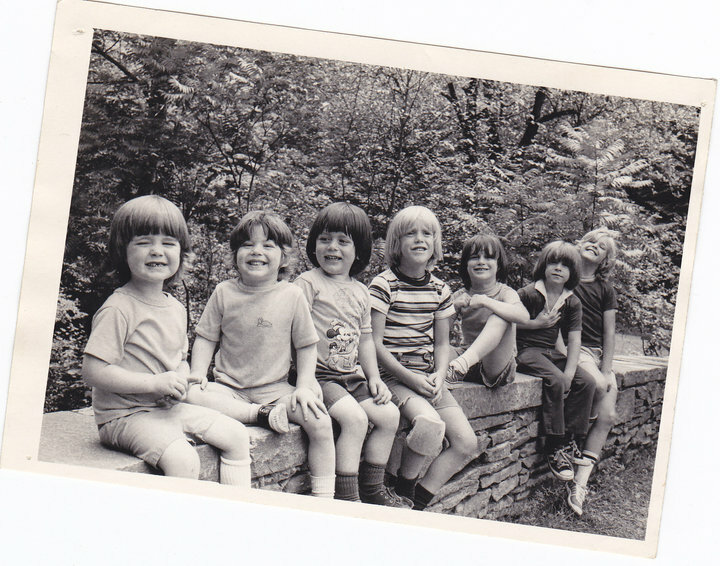 So I grew up in a sort of orphanage. By the time I was eight, I had found out who my father was—yes, he was a member of the cult. By the time I was eleven, the cult had several branches around the USA and all the kids were shipped to the Dallas branch, where the cult, now called the Foundation Faith of God, had started what they called a private school. But it was basically homeschool because the students consisted of me and my fellow cult orphans. I had a mother and a father—but I really didn’t know what that meant. And that was the norm for me, so I didn’t really see it as the issue I do today. We were neglected, abusively disciplined, ignored, sometimes beaten, left on our own for hours, and taught to march. We were shipped off to the cult’s huge animal sanctuary ranch in the red desert of Southern Utah every summer for two months, where we lived in tents (checking our sleeping bags nightly for scorpions), dug miles and miles of trenches for water supply pipes, built cat and dog pens, snuck sodas from the huge walk-in cooler, scooped dog poop for ten hours a day, framed houses, put up drywall, roofed houses, and lots more. And the leader of the Dallas branch was imbalanced, to put it generously. She could be very sweet at times, then become a raving, emotionally abusive pseudo-mother/warden the next moment. She was my enemy. I couldn’t stand her, although she taught me to make bread. She also taught us songs in support of the IRA, had all the kids sing a few songs at a Dallas gathering of the Palestinian Liberation Organization. I left the cult when I was seventeen. This is all important to my writing and my writing dreams. Why? Because I was a voracious, desperate reader. I read every single fantasy book in the Dallas library branch I could ride my bike to. But that was the level of my desperation for emotional connection and release. Nobody around me cared about me, but when I was in stories, I was making friendships, fighting dragons and dark elves and possessed sorcerers, riding beautiful black horses, losing my best friend but gaining a father, and lots more. Stories opened my mind and heart and gave me a place to escape to from the bleak, often painful place I lived in. When I was reading, the abyss of loneliness and isolation I felt beckoning me was beaten back. Stories, and later poetry, were the source of truth and goodness and beauty that I most often turned to. I learned much of what I know today by reading great stories. Fantasy and science fiction stories as well as what many people term the classics. Black Beauty. The Yngling. The Icewind Dale Trilogy. The Riddlemaster of Hed. So I began to write. I wrote short, silly stories. I wrote half-novels freehand in notebooks, copying the styles of Robert Ludlum, Stephen King, Mercedes Lackey, Patricia McKillip, Douglas Adams, and Susan Cooper. I wrote poetry and self-published the most uneven, ugly chapbook of it. Maybe three of the forty or so poems in that chapbook are pretty good. Then came 2014. I’d written and re-written many times a novelization of ten years of my life in the cult by the end of 2013, but 2014 started off with a bang: my wife had kidney cancer. We’d found out through the most extraordinary, humbling, terrible, awful miracle imaginable: her pregnancy with our 7th child wasn’t acting normal and an ultrasound indicated it might not work out. And it also found the huge tumor on my wife’s kidney. We lost the baby, surgery happened fast, and by the end of April, she was clear and recovering from the surgery. Our lives had changed, because life had become more precious. The hits kept on coming in 2014: I was laid off from my job of four years and my last grandparent died. So I decided it was time to stop waiting. I sent my cult childhood novelization to agents. The rejections became specific: great writing, amazing story, don’t know what to do with such a raw, unique voice that sounds like YA but also sounds like adult contemporary fiction. I vented to my wife a lot, then decided to heck with it; no more waiting. I’d taken control of my day job career, becoming a unique Instructional Designer with skills maybe ten other instructional designers in the country have. So no more waiting became my catch phrase. No more waiting for anything; it was time to take control of my writing career too. 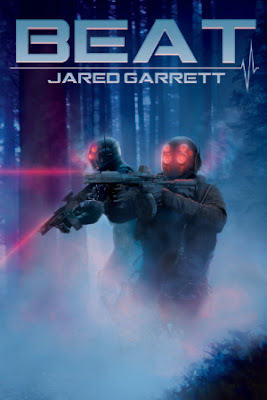 I hired an artist, the excellent Nathan Shumate, to do the cover and typesetting, did one final detailed revision for voice, then worked through a deep copy edit. 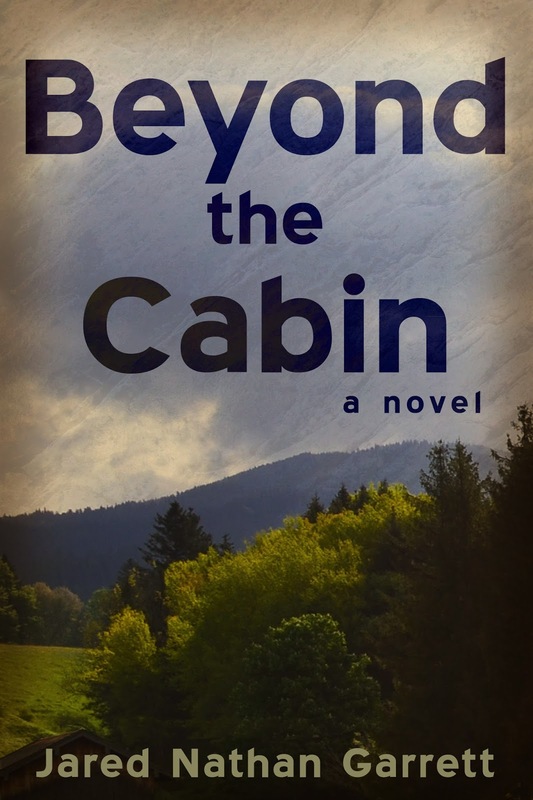 Beyond the Cabin, was self-published on Dec 1, 2014. My first novel. In print. I held a launch signing at the wonderful Pioneer Book in Provo. It went better than I had any right to expect. My friends and family turned up with smiles, hugs, and money in hand. Reviews came in: people loved the book. Next, Beyond the Cabin was nominated for a Whitney Award. All of this was possible because of one thing: work. Having the resources to hire a cover artist, then order copies for sale and signings, and to go places to sign the book—that was all possible because I had a day job that I was committed to doing well. It wasn’t just a bide your time thing—it was a career. And I worked at it and worked at building it so it would support my family and enable the writing career. On top of the day job career, I was writing daily. Or at least mostly daily. Sometimes a break was needed. I had to learn to allow myself to take breaks for mental, emotional, and physical health. The main thing is that I treated writing as not a hobby—but a job. My dream job. I figured I would build on the success of 2014 and started working at Amazon in April of 2015. No, I can’t help your book be an Amazon bestseller. I’m a training guy—not a sales guy. 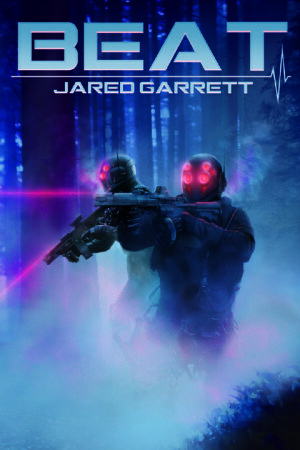 Two weeks after moving to Seattle, I signed a contract with Future House Publishing, an independent Utah house, to publish my YA futuristic scifi thriller Beat. Beat’s a cross between Goonies, the Hunger Games (without kids killing kids), and Speed. Dave Butler called it “the apocalypse of fitbits.” The story takes place in a world 100 years after 95% of humanity was killed by a bio-toxin they call the Bug. The Bug is incurable and unkillable. It attacks the heart when it is above 140 beats per minute, killing a person within minutes. In order to keep people safe, the surviving society, called the New Chapter, created wrist computers called Papas that not only monitor the heartrate, but administer a powerful sedative called the knock-out if the heartrate hits 140. The Papas do a lot more than that too, by the way. Fifteen year old Nik Granjer grew up with a Papa on his wrist. It knocks him out every night at 10:30 for sleep, and any time his heartrate gets too high. But Nik hates the Papa. He’s spent his life trying to find a way to block the knock-out. Aside from that, he doesn’t believe the Bug is still a danger. How could a bio-toxin still be in the air after 100 years? After finding a way to block the knock-out, he decides to prove to his friends that the Bug is gone by pushing his heartrate past 140. One night, he rides his bicycle through a park as fast as he can. His heartrate hits 160 and he doesn’t die. His friends are stunned. The Bug is gone. On the way home, Nik and his best friend Bren race, with both of them blocking the knock-out. Bren gets hit by the Bug, dying within minutes. When the Enforsers, the police of the New Chapter, show up, Nik tries to explain. Maybe he’s immune! But they immediately try to kill him. So he goes on the run. 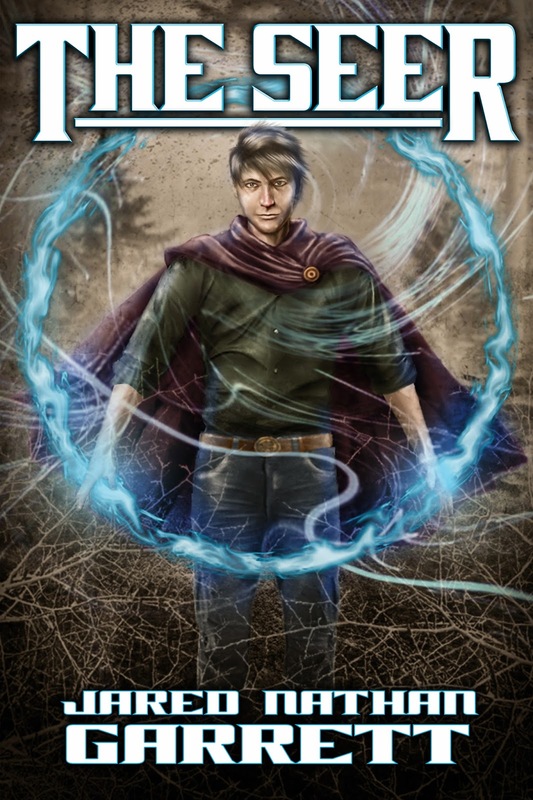 With his friends’ help and through betrayal, capture, escape, and total stubbornness, Nik uncovers a generations old secret that could destroy the rest of humanity. My third novel came out in January. 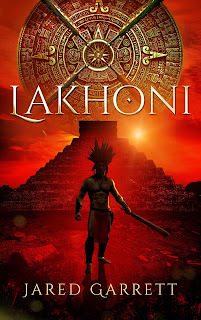 It’s called Lakhoni, and is a fantasy revenge thriller inspired by Incan and Aztec culture. It’s about a young man named Lakhoni who is left for dead when his village is destroyed. He crosses the kingdom to hunt down and kill the man responsible for his family’s death: his own king. On the journey, he trains with then escapes assassins, finds love, and learns that his family might have been traitors to their own people. And if that’s true, he’s the only one who can save not only his kingdom, but all of civilization. This is the kind of book you read when you need to decompress from normal life and go on a crazy adventure, but maybe you don’t have any climbing equipment. I’ll be putting my next project, called The Seer, up on Kindle Scout in the next couple of weeks. It’s an urban fantasy about the fulfillment of a Hebrew legend called the Lamed Vovniks, or the Thirty-Six. It’s about a grieving, lonely graduate named Nathan who finds the ancient cloak of Joseph. You know, that guy who was sold by his brothers and ended up basically ruling Egypt? 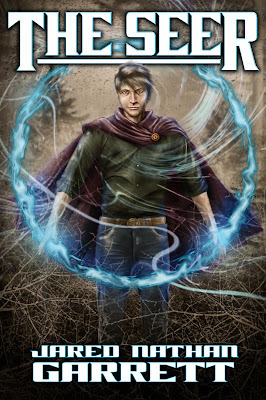 The cloak gives Nathan powers of perception into people’s hearts and he has to use the cloak to stop a cursed, crazed terrorist, while dodging an assassin from a shadowy cabal that wants the cloak for its own purposes. The sequel to Beat is called Push. It’s done and I hope to get it released this year. I wrote it on the train I ride during my commute to and from work. I had to fight for elbow space several times. Sometimes, I would get so into the scenes, I would get off the train and sit on a bench at the downtown train station to finish. Then I would walk to the office and get to work on the day job. I did this every workday for two months. I wrote at night and on Saturdays as well. It was exhausting in all the right ways. And Push is easily the best book I’ve ever written. I’m working on my next series now, having a blast exploring a world and characters I’ve been thinking about for about three years. My dream is to work as a writer, living on my writing and supporting my family with it. That dream isn’t something I’m chasing anymore. It’s something I am working for every day. Every word I type. Every time I push past exhaustion and open my laptop and write or edit. Every agent I query. Every book I sign. Every person I talk to. Every business card I hand out. Every book I read. Every day. Every day. Every day. I’m working my dream job right now. One day, my dream job will be my only job.